A telecom ad that aims to battle terrorism with song has gone viral in the Middle East, delighting audiences while also sparking controversy over its depictions of bombing victims, its use of the issue to promote its brand, and its vision of Islam’s role in preventing violent extremism. 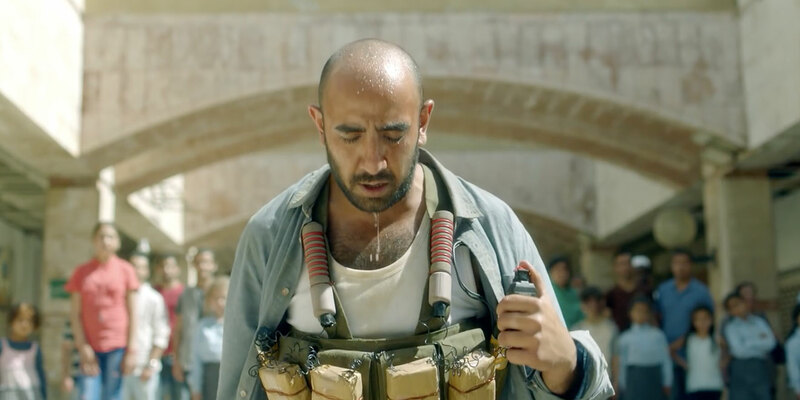 The three-minute commercial, created by marketer Zain for the region’s Ramadan season, when TV viewing there increases, features a range of nationalities pleading with a suicide bomber not to carry out an attack, by appealing to his faith, and sense of shame, with a gentler reading of what it means to be Muslim. The clip features Hussain Al Jassmi, an Emirati pop singer, delivering lines like “Worship your God with love not terror,” and “Let’s bomb delusion with the truth.” It also features video footage of scenes from actual terror attacks, like the 2016 bombing in the Karrada district of Iraq, and cameos from non-actors who were victims of such violence—like a father whose son was killed in that Baghdad attack, and a bride who survived a 2005 bombing attack on her wedding in Jordan. The clip is approaching 3 million views on YouTube. With a poignant message and dramatic delivery, it has understandably earned praise from many viewers. But it’s also drawn fire, The New York Times reports, for its use of imagery pointedly referring to Omran Daqneesh, the 5-year-old Syrian boy whose photo became famous last year after he was injured in an air strike. Critics say that reference is misleading, arguing that airstrike was perpetrated by the government, not terrorists. Other complaints target the idea that Muslims in general are responsible for defending Islam from perceptions that it is extremist, or violent.